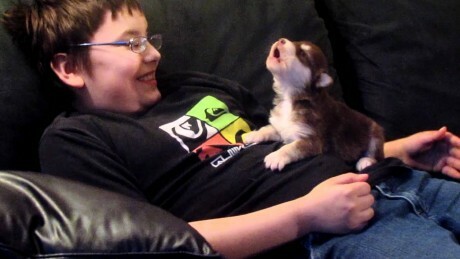 This little pup has the cutest howl ever. It will surly bring a smile to your face. This entry was posted in Animals, Featured on Friday, April 15 by funkboy. Here’s a tutorial on 5 hairstyles for spring! I hope you enjoy all these braids! Spring is my favorite season and I love to go full on feminine with my hair styles during the spring. For this video I have updos, half up half down, pony tail, and a braid. Almost all of these are braided in some way. I think they’re all quick and easy and you can totally do a few of them in just 5 minutes. They’re great for brunch, the beach, shopping, festivals, and even weddings. I hope you love them! This entry was posted in Featured, Learn on Friday, April 15 by funkboy. 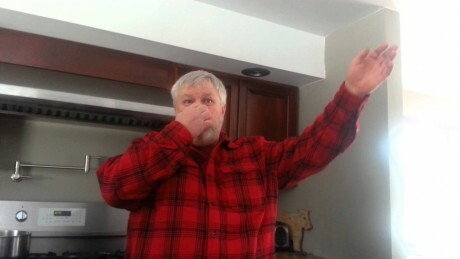 Husband can’t explain his experience at a store without gagging! Her Husband had an experience at the store today and was trying to tell his wife why he looked white as a ghost. Not making fun of the persons involved, no rude comments PLEASE. She just couldnt help but to ask him descriptive questions to help him along…priceless! Sorry if it grosses you out. This entry was posted in Featured, Laugh on Friday, April 15 by funkboy. This entry was posted in Featured, Learn on Thursday, April 14 by funkboy. Live from the DMZ, Conan welcomes Steven Yeun. Plus, a special appearance by Supreme Leader Kim Jong-un and a guard wearing sunglasses indoors. This entry was posted in Featured, Laugh on Thursday, April 14 by funkboy. Social Experiment. A Muslim and a Jew walking in a Public Area. See how people react. This entry was posted in Featured, Inspire on Thursday, April 14 by funkboy. This Guitar Maestro delights the crowd with his amazing guitar skills. Who would have thunk it? This entry was posted in Featured, Inspire on Tuesday, April 12 by funkboy. Check out these four foods you have been peeling all wrong. Now you have no excuse but to do it right. You’re welcome. This entry was posted in Featured, Learn on Tuesday, April 12 by funkboy. See what this man finds on a noodle near their campsite. It wasn’t what he expected. Kayaking and camping at Lake Fausse Point State Park, St. Martinville, La., will never be the same. He thought it was a catfish. Let’s just say it wasn’t a catfish! This entry was posted in Featured, Laugh on Tuesday, April 12 by funkboy. 78 year old Shirley Webb can deadlift 225 pounds with ease. WOW! This entry was posted in Featured, Inspire on Thursday, April 7 by funkboy.